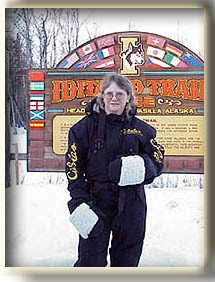 View this PDF booklet to read Diane’s Messages and Lessons from the 2000 Iditarod. Diane Johnson — Monday, 27 March 2000, at 9:58 p.m.
Diane Johnson — Sunday, 26 March 2000, at 11:45 p.m.
Diane Johnson — Tuesday, 21 March 2000, at 5:00 a.m.
Diane Johnson — Saturday, 18 March 2000, at 8:31 p.m.
Diane Johnson — Thursday, 16 March 2000, at 10:37 p.m.
Diane Johnson — Thursday, 16 March 2000, at 8:13 p.m.
Diane Johnson — Wednesday, 15 March 2000, at 10:53 p.m.
Diane Johnson — Tuesday, 14 March 2000, at 11:26 a.m.
Diane Johnson — Monday, 13 March 2000, at 1:08 a.m.
Diane Johnson — Sunday, 12 March 2000, at 8:02 p.m.
Diane Johnson — Sunday, 12 March 2000, at 3:45 a.m.
Diane Johnson — Sunday, 12 March 2000, at 3:43 a.m.
Diane Johnson — Friday, 10 March 2000, at 3:42 p.m.
Diane Johnson — Friday, 10 March 2000, at 12:15 a.m.
Diane Johnson — Wednesday, 8 March 2000, at 11:08 p.m.
Diane Johnson — Tuesday, 7 March 2000, at 2:21 a.m.
Diane Johnson — Sunday, 5 March 2000, at 3:43 a.m.
Diane Johnson — Thursday, 2 March 2000, at 4:16 a.m.
Diane Johnson — Monday, 28 February 2000, at 2:21 a.m.
Diane Johnson — Friday, 25 February 2000, at 2:22 a.m.
Diane Johnson — Tuesday, 22 February 2000, at 7:48 a.m.
Diane Johnson — Tuesday, 22 February 2000, at 7:39 a.m.
Diane Johnson — Friday, 18 February 2000, at 10:41 p.m.
Diane Johnson — Tuesday, 15 February 2000, at 9:59 p.m.
Diane Johnson — Monday, 14 February 2000, at 11:22 p.m.
Diane Johnson — Monday, 14 February 2000, at 11:04 p.m.
Diane Johnson — Saturday, 12 February 2000, at 8:14 a.m.
Diane Johnson — Friday, 11 February 2000, at 10:53 p.m.
Diane Johnson — Tuesday, 8 February 2000, at 5:45 a.m.
Diane Johnson — Monday, 7 February 2000, at 12:08 a.m.
Diane Johnson — Sunday, 6 February 2000, at 10:22 a.m.
Diane Johnson — Sunday, 6 February 2000, at 1:38 a.m.
Diane Johnson — Sunday, 6 February 2000, at 12:05 a.m.
Diane Johnson — Sunday, 30 January 2000, at 4:39 a.m.
Diane Johnson — Saturday, 29 January 2000, at 12:11 a.m.
Diane Johnson — Sunday, 23 January 2000, at 12:59 p.m.
Diane Johnson — Sunday, 23 January 2000, at 11:42 a.m.
Diane Johnson — Saturday, 22 January 2000, at 11:39 p.m.
Diane Johnson — Tuesday, 18 January 2000, at 12:05 a.m.
Diane Johnson — Friday, 14 January 2000, at 5:00 a.m.
Diane Johnson — Friday, 14 January 2000, at 4:44 a.m.
Diane Johnson — Sunday, 9 January 2000, at 10:16 a.m.
Diane Johnson — Saturday, 8 January 2000, at 11:54 a.m.
Diane Johnson — Saturday, 8 January 2000, at 11:06 a.m.
Diane Johnson — Friday, 7 January 2000, at 9:36 p.m.
Diane Johnson — Tuesday, 4 January 2000, at 6:54 p.m.
Diane Johnson — Monday, 3 January 2000, at 7:12 a.m.
Diane Johnson — Sunday, 2 January 2000, at 5:57 p.m.
Diane Johnson — Sunday, 2 January 2000, at 5:38 p.m.
Diane Johnson — Friday, 31 December 1999, at 9:41 a.m.
Diane Johnson — Friday, 31 December 1999, at 2:27 a.m.
Diane Johnson — Wednesday, 29 December 1999, at 9:34 a.m.
Diane Johnson — Monday, 27 December 1999, at 3:53 a.m.
Diane Johnson — Friday, 24 December 1999, at 4:02 a.m.
Diane Johnson — Monday, 20 December 1999, at 12:38 a.m.
Diane Johnson — Sunday, 19 December 1999, at 10:21 p.m.
Diane Johnson — Saturday, 18 December 1999, at 2:01 p.m.
Diane Johnson — Saturday, 18 December 1999, at 10:04 a.m.
Diane Johnson — Thursday, 16 December 1999, at 3:53 p.m.
Diane Johnson — Monday, 13 December 1999, at 8:42 p.m.
Diane Johnson — Sunday, 12 December 1999, at 8:46 a.m.
Diane Johnson — Saturday, 11 December 1999, at 8:38 a.m.
Diane Johnson — Friday, 10 December 1999, at 10:39 p.m.
Diane Johnson — Wednesday, 8 December 1999, at 11:31 p.m.
Diane Johnson — Saturday, 4 December 1999, at 12:31 p.m.
Diane Johnson — Thursday, 2 December 1999, at 11:54 p.m.
Diane Johnson — Sunday, 28 November 1999, at 11:53 a.m.
Diane Johnson — Sunday, 28 November 1999, at 11:24 a.m.
Diane Johnson — Friday, 19 November 1999, at 11:31 p.m.
Diane Johnson — Friday, 19 November 1999, at 10:56 p.m.
Diane Johnson — Wednesday, 17 November 1999, at 10:47 p.m.
Diane Johnson — Wednesday, 17 November 1999, at 10:20 p.m.
Diane Johnson — Sunday, 14 November 1999, at 5:56 p.m.
Diane Johnson — Saturday, 13 November 1999, at 8:48 a.m.
Diane Johnson — Thursday, 11 November 1999, at 8:56 p.m.
Diane Johnson — Monday, 25 October 1999, at 12:28 a.m.
Diane Johnson — Wednesday, 20 October 1999, at 8:47 p.m.
Diane Johnson — Wednesday, 20 October 1999, at 7:49 p.m.
Diane Johnson — Sunday, 17 October 1999, at 1:05 p.m.
Diane Johnson Teacher on the Trail 2000 — Sunday, 17 October 1999, at 11:16 a.m.
Diane Johnson — Saturday, 16 October 1999, at 3:32 p.m.
Diane Johnson — Saturday, 16 October 1999, at 2:58 p.m.
Diane Johnson — Saturday, 16 October 1999, at 12:23 p.m.
Diane Johnson — Friday, 24 September 1999, at 12:32 a.m.
Diane Johnson — Friday, 17 September 1999, at 12:44 a.m. The Idita – Classroom — Thursday, 16 September 1999, at 7:24 p.m.
Diane Johnson — Friday, 10 September 1999, at 1:09 a.m.
Diane Johnson — Thursday, 9 September 1999, at 1:24 a.m. The Idita – Classroom — Thursday, 2 September 1999, at 8:22 p.m.
Iditarod Trail Committee, Inc — Monday, 30 August 1999, at 7:21 p.m.
Iditarod Trail Committee, Inc. — Monday, 29 March 1999, at 3:44 a.m.